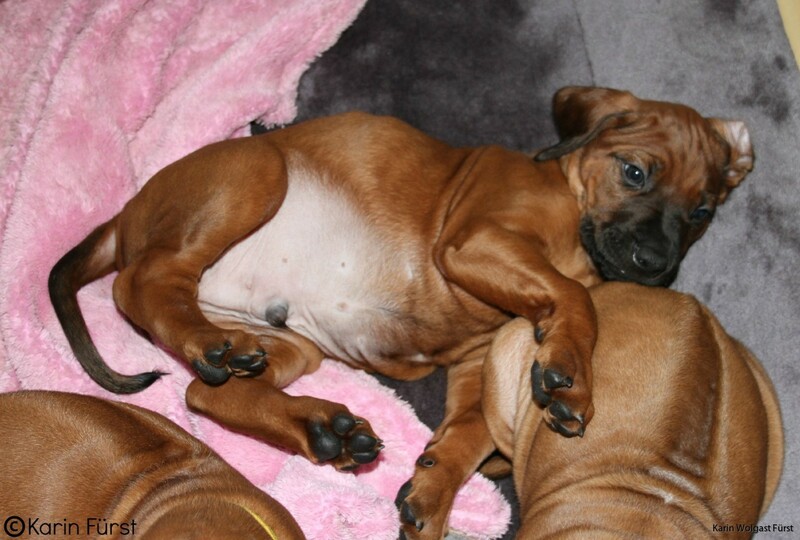 The puppies are now almost 6 weeks old, time is flying! 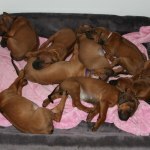 As you all now it was New Years Eve last night and the puppies and I have had dew busy days. 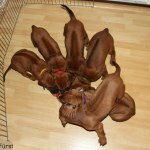 On Sunday all the puppies got a bath to be all clean and nice for New Years! 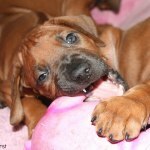 Thank you Natalia for your assistance! 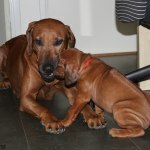 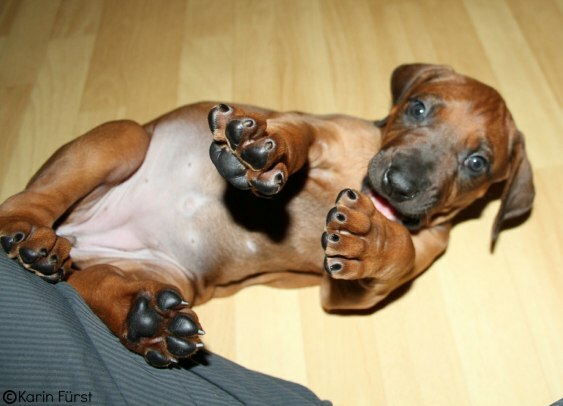 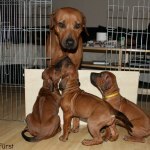 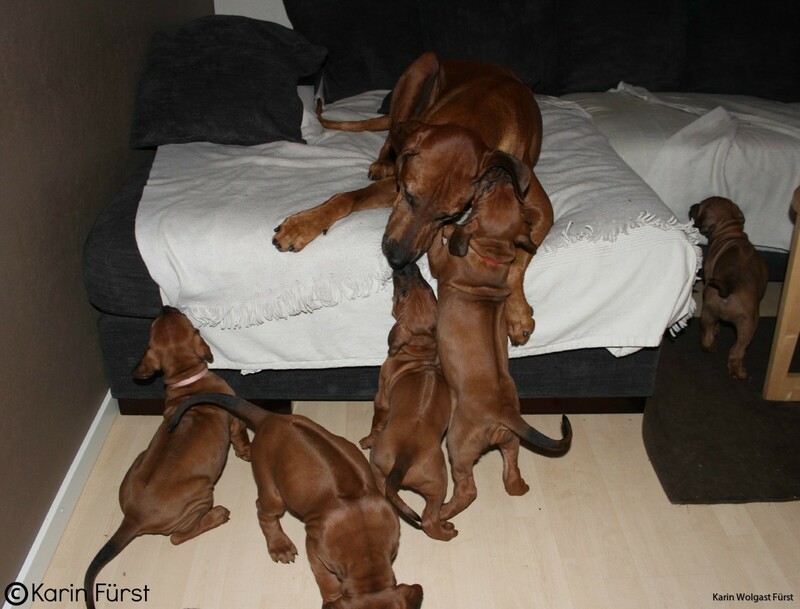 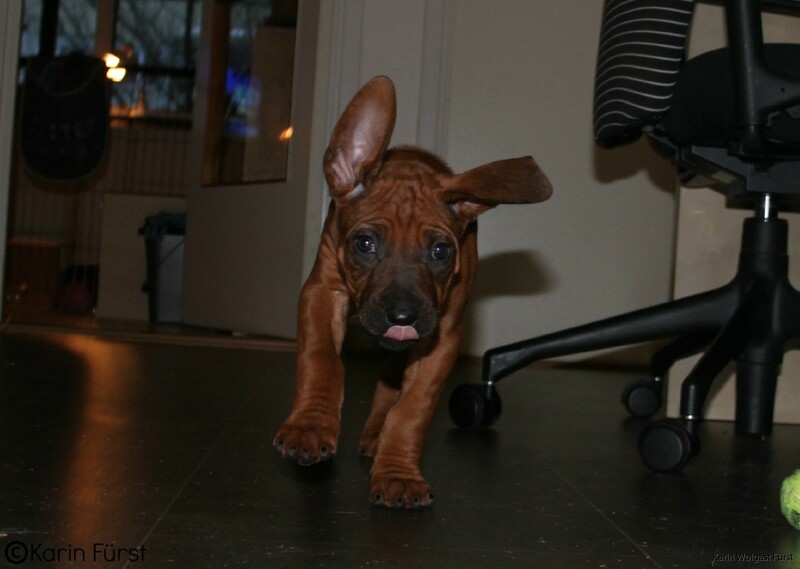 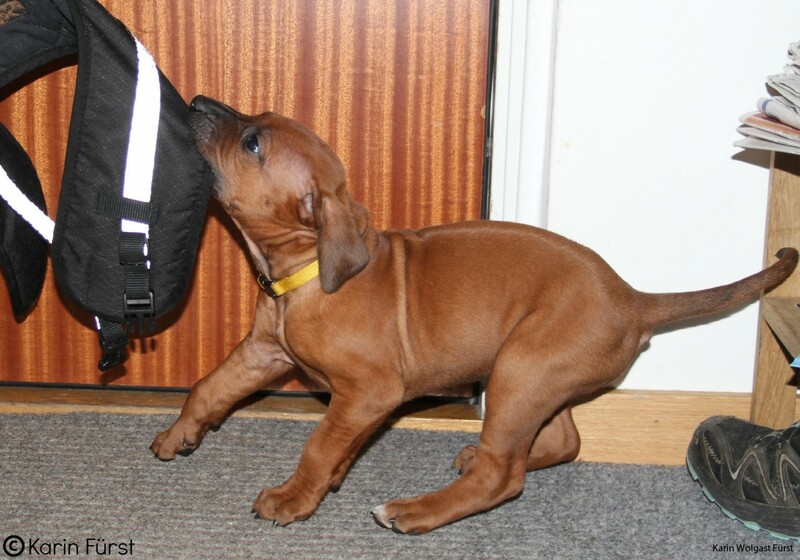 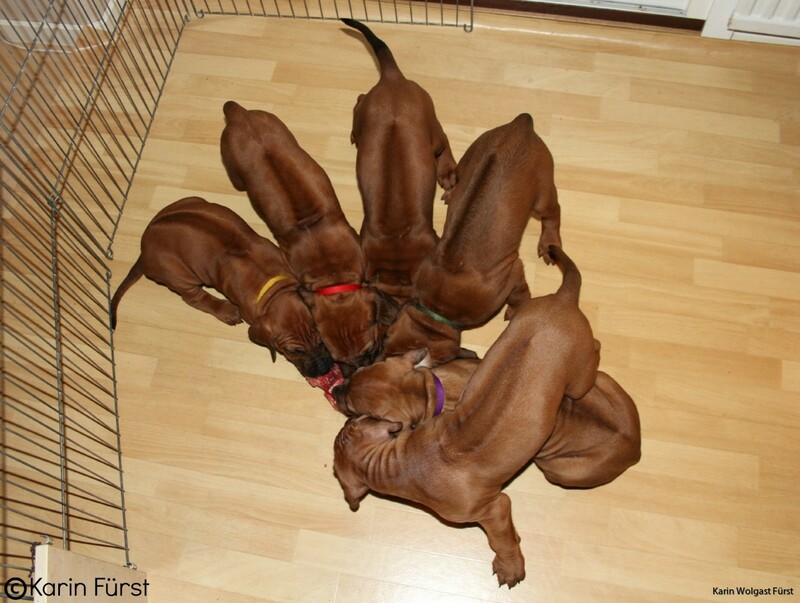 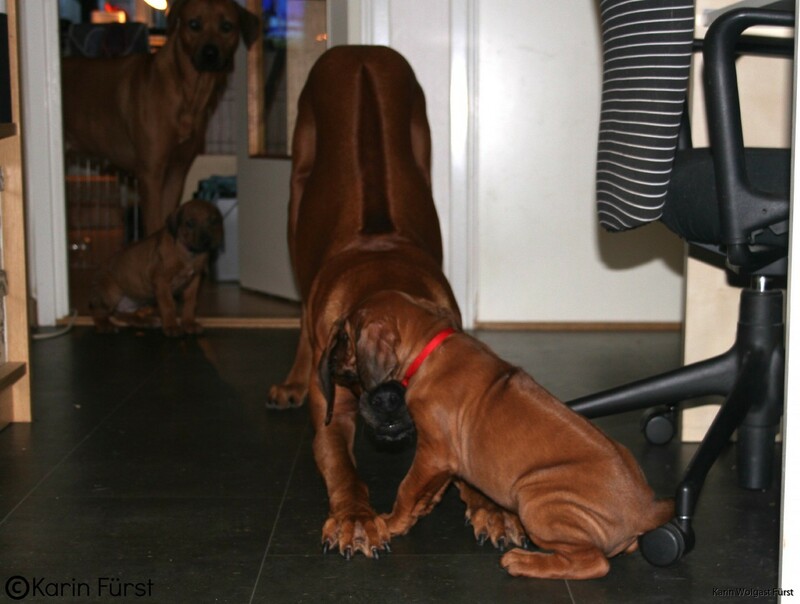 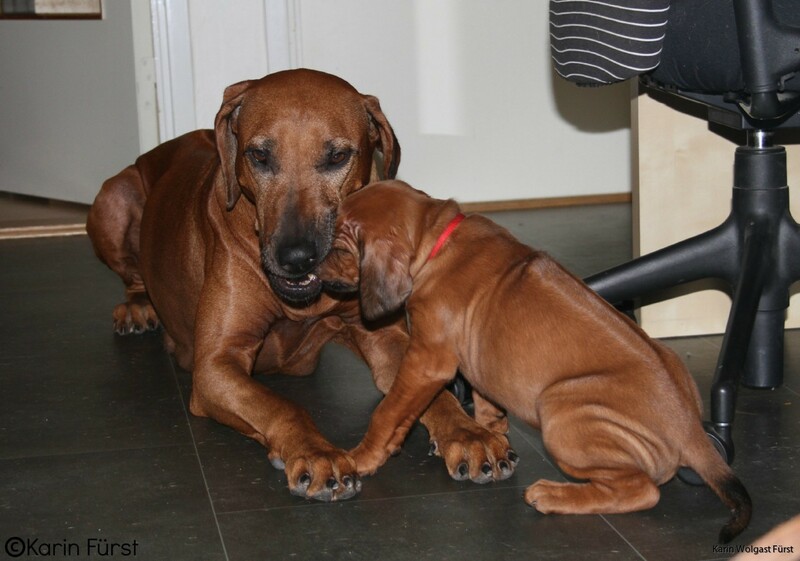 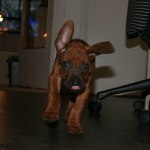 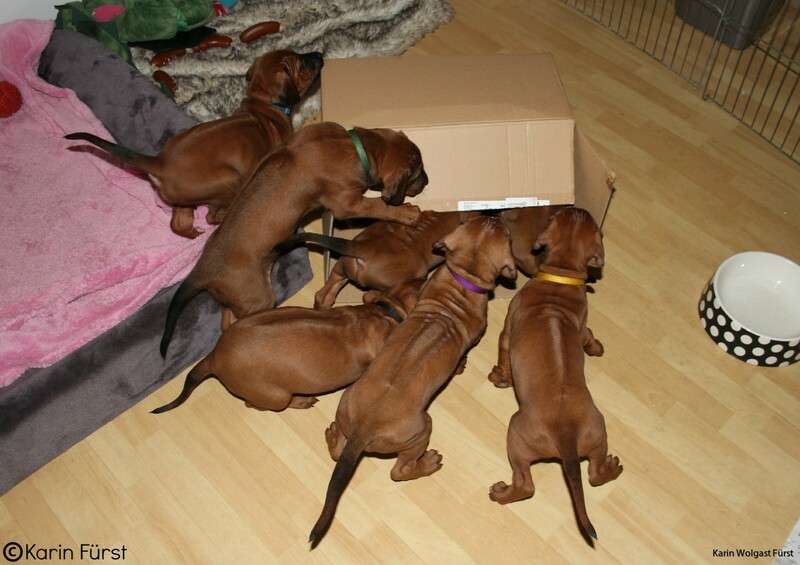 On Monday during the day the puppies got to play in the whole livingroom, hallway and bathroom. 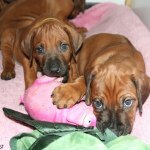 They really enjoy to get out and play and check out everything that is new for them. 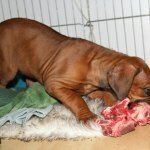 Moa came up with a smart thing. 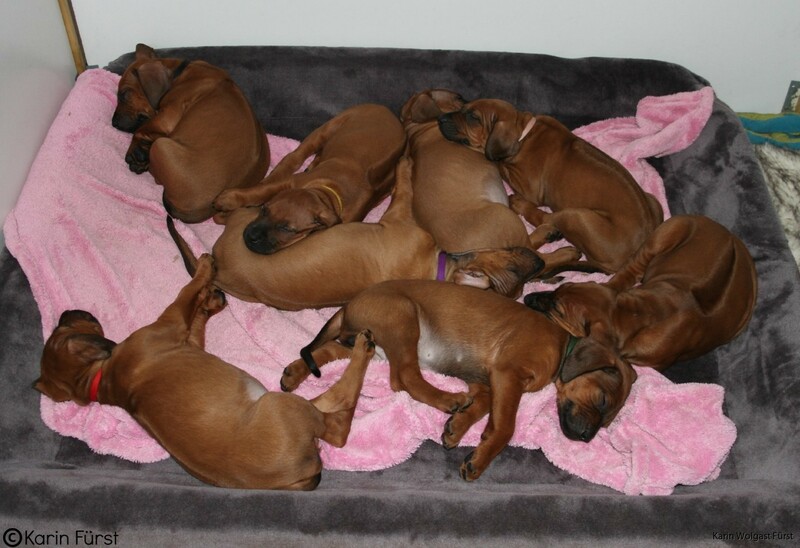 She laid on the couch with only her head down with the puppies. 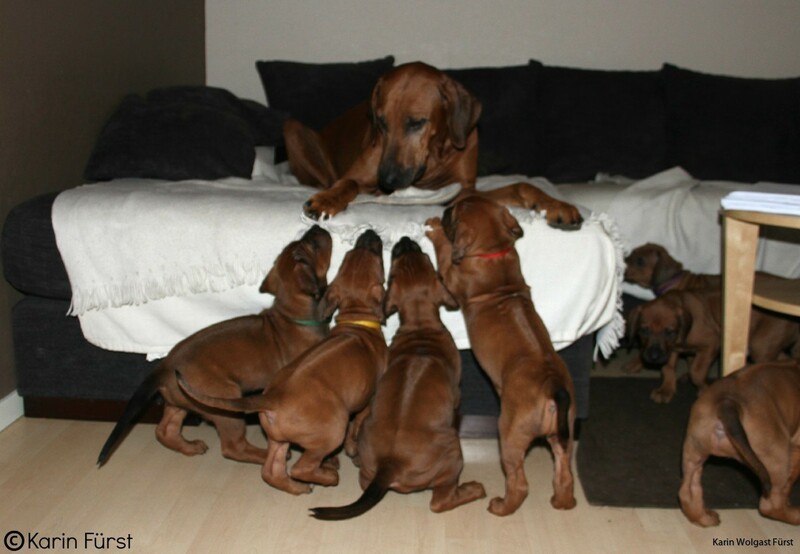 Then they couldn't reach the milkbar but enjoy the company of mommy! 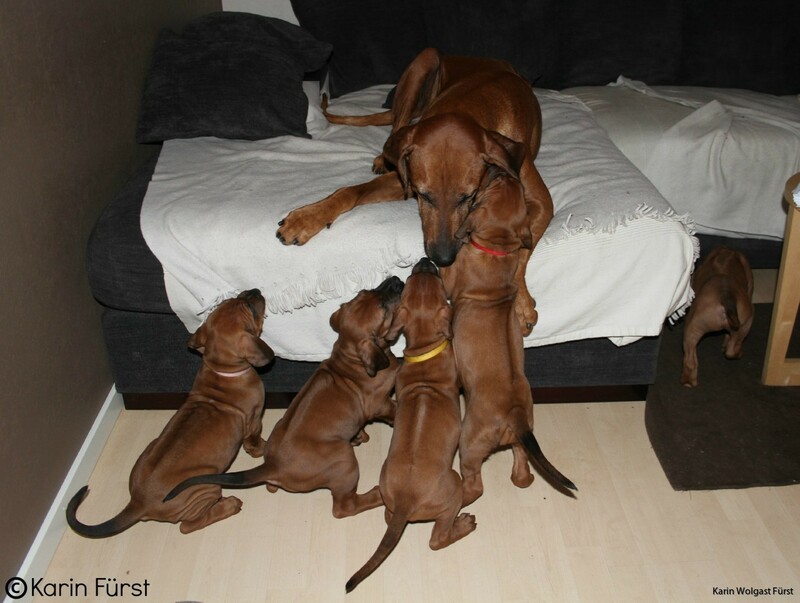 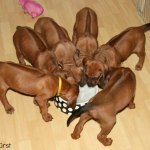 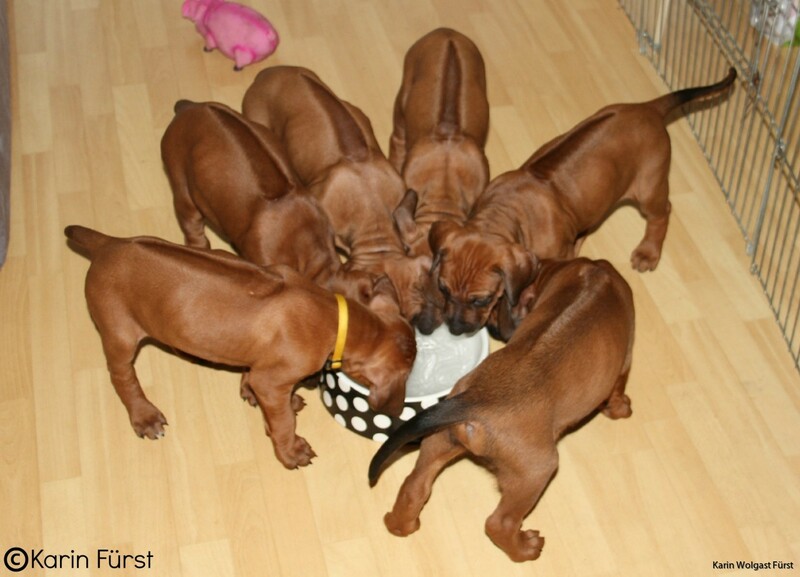 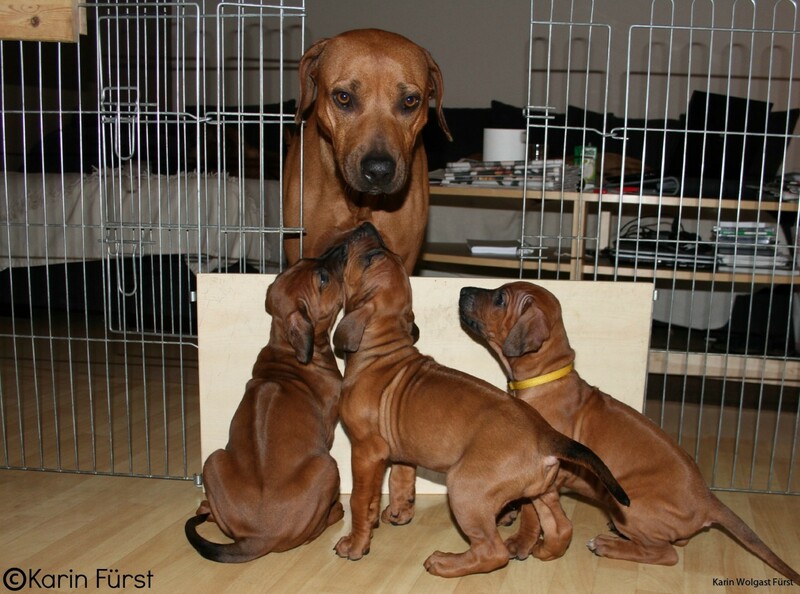 She is only giving them milk a couple of times a day now, but they are eating puppyfood four times a day instead. 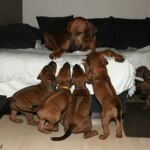 I think she will stop feeding them at all soon, she usually does around 6 weeks. 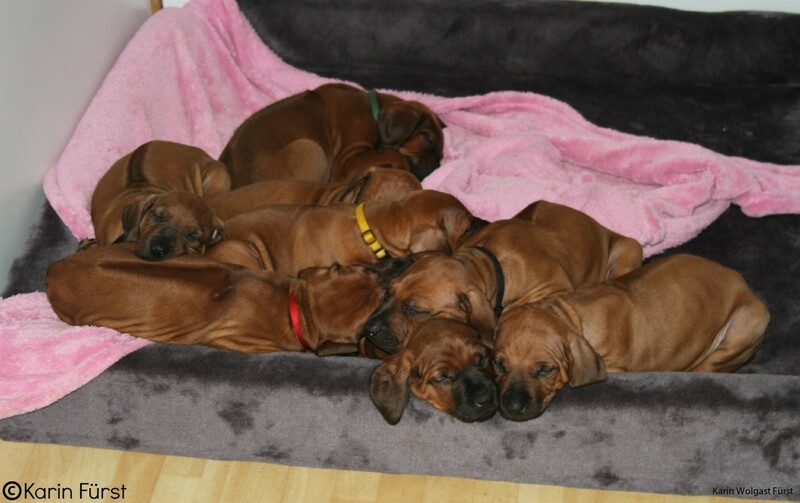 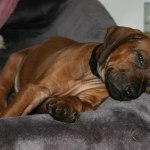 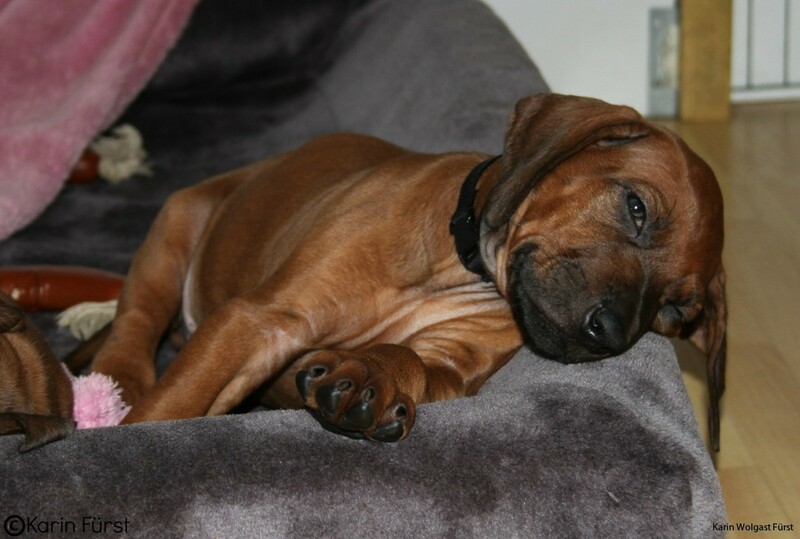 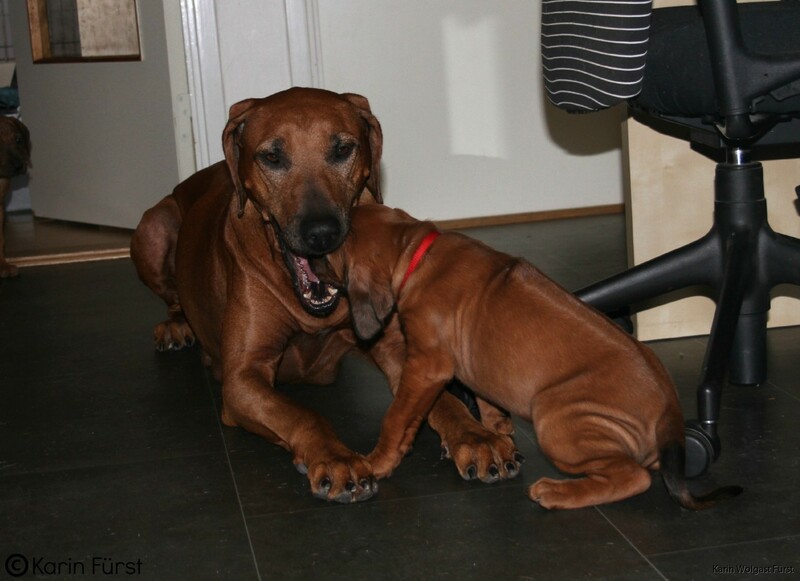 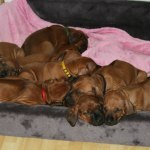 In the evening all the puppies were tired and slept trough all the fireworks. 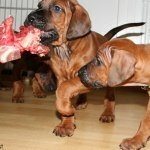 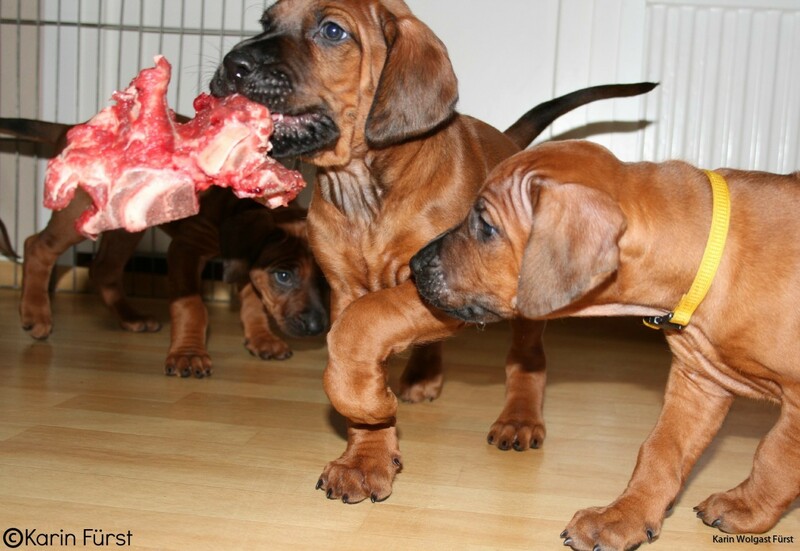 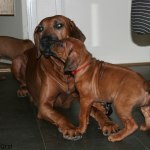 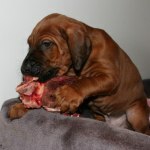 The big dogs got some nice meaty bones to chew on so they were not bothered at all, just like usuall. 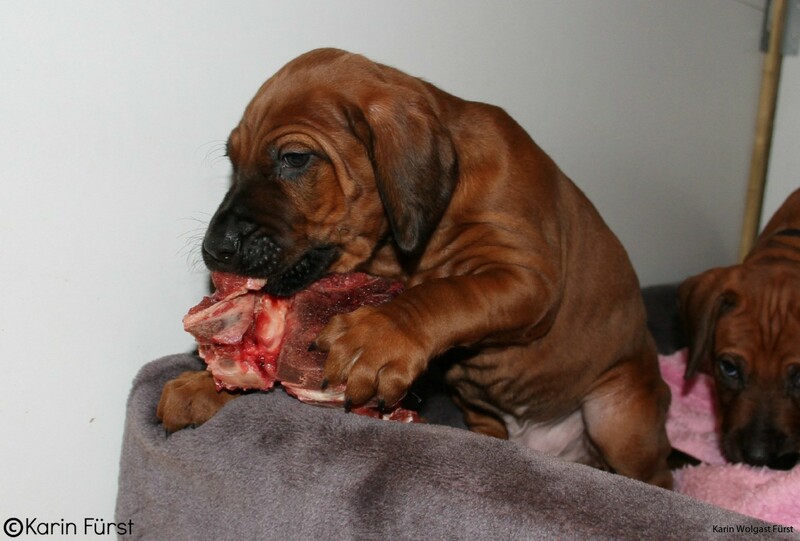 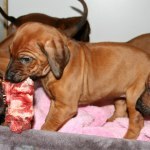 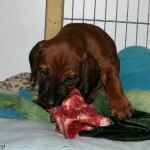 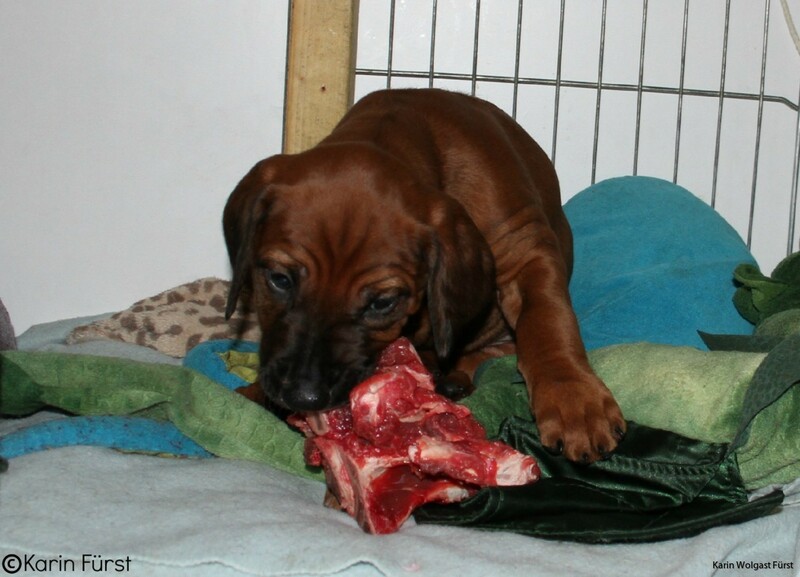 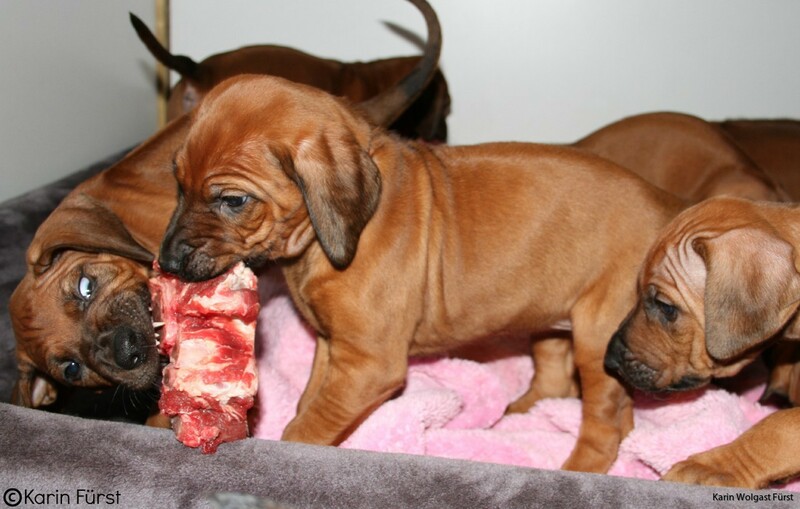 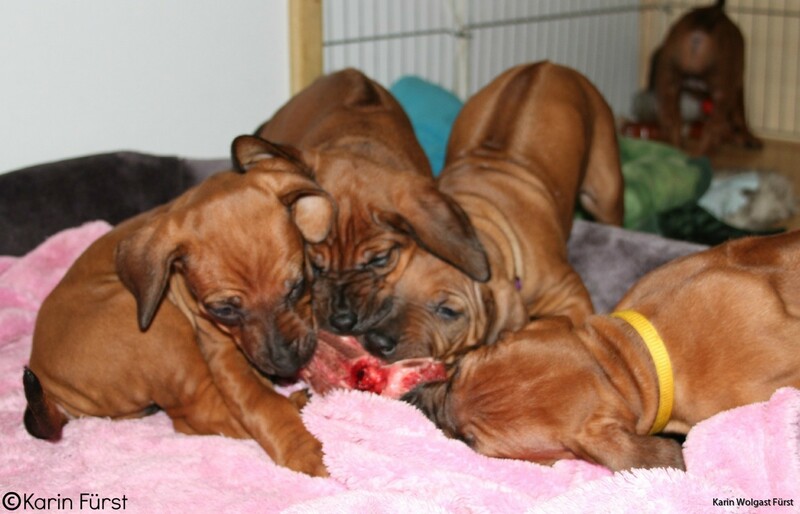 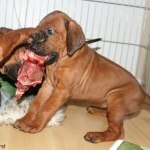 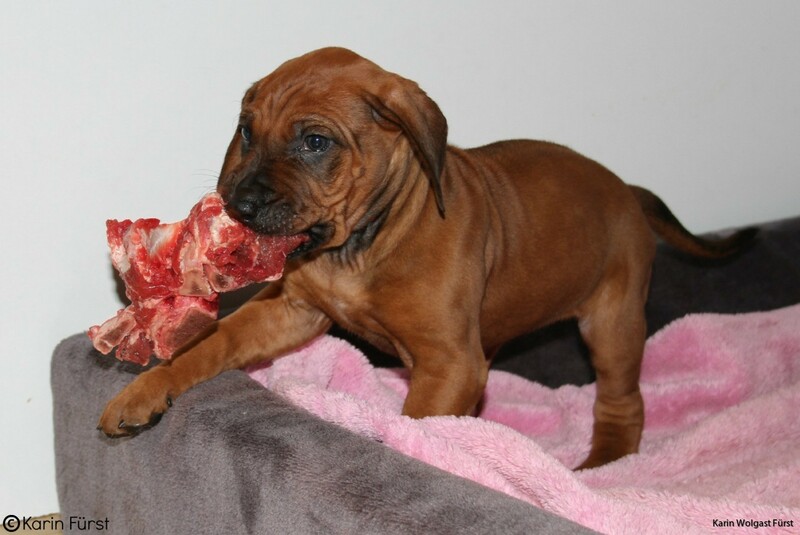 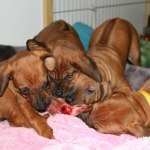 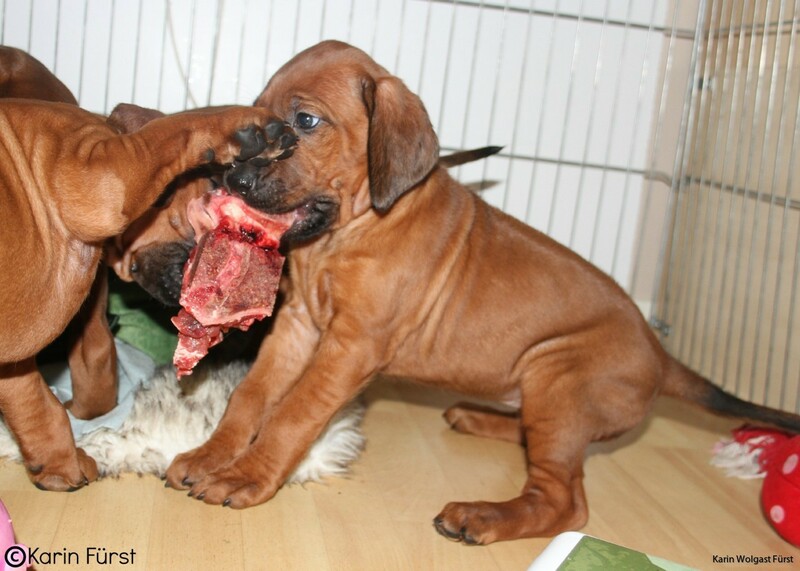 Today the puppies also got to taste those bones and they loved it! 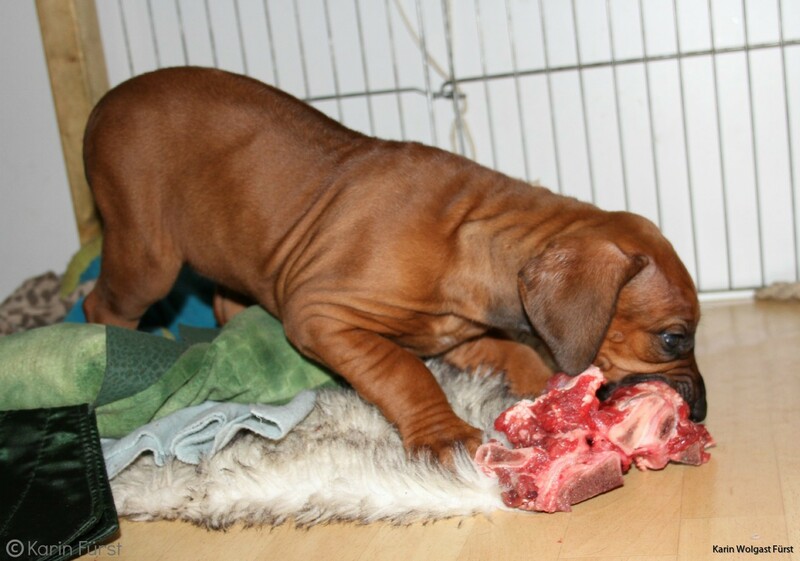 Chewed on it all morning long! 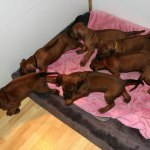 They are now going outside several times a day to do their business, they are still doing it inside too, but I am just happy that the cold and wet weather isn't stopping them from wanting to go outside. 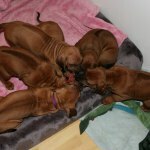 They don't seem to be scared of the dark either, going outside in the late afternoons aswell. 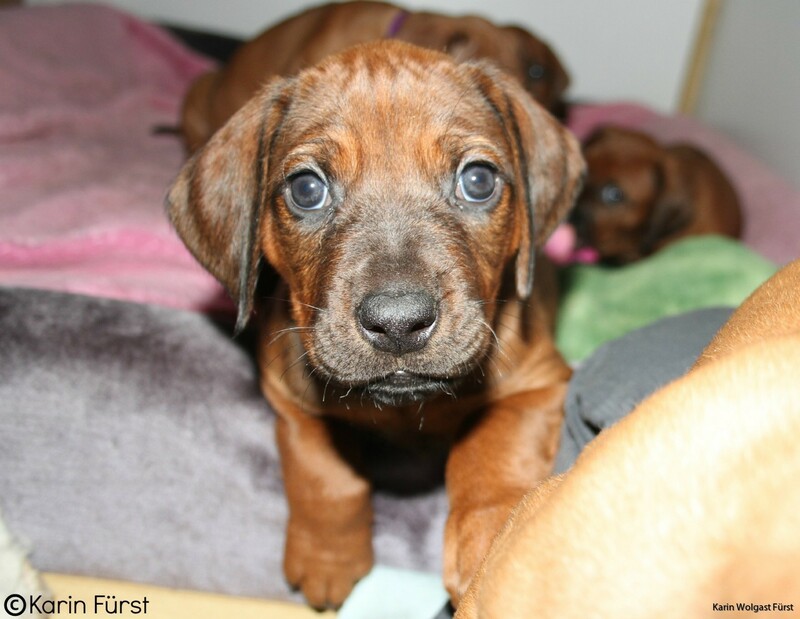 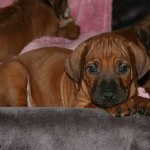 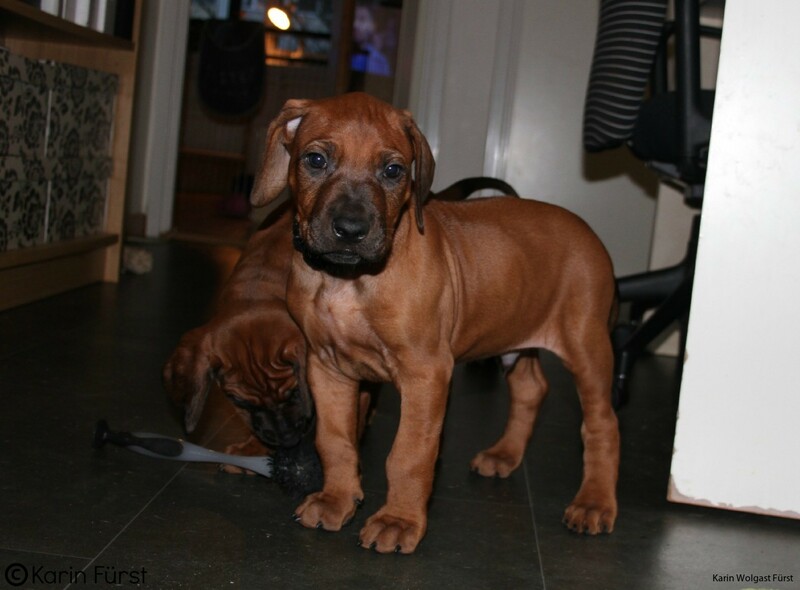 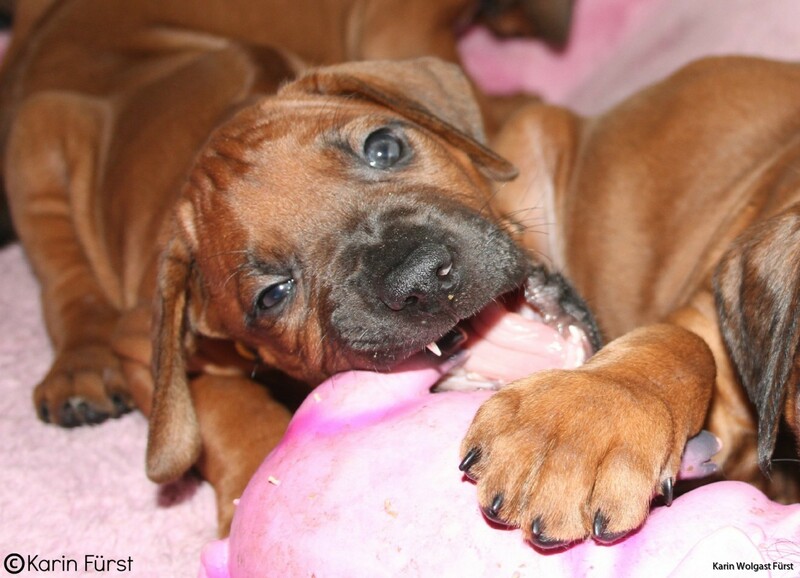 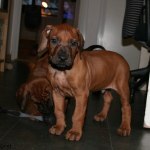 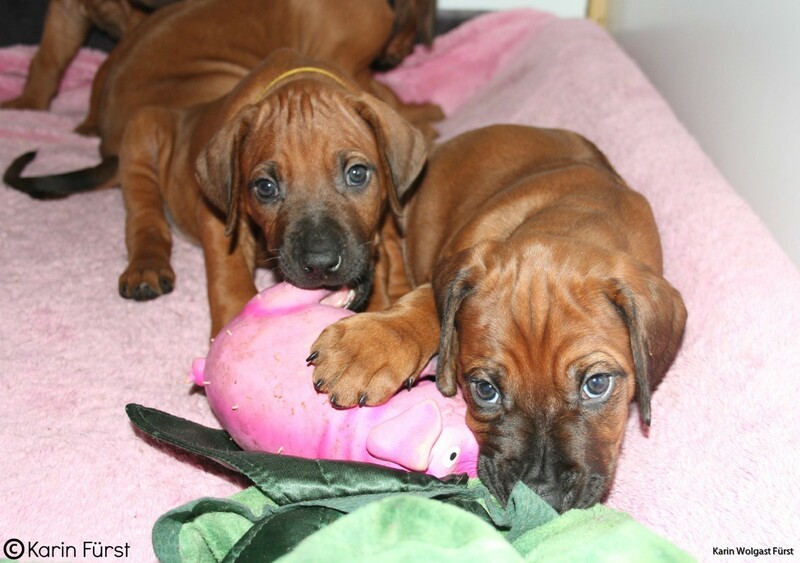 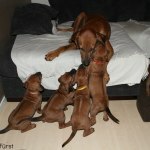 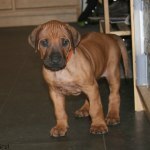 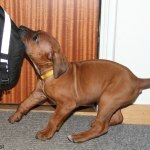 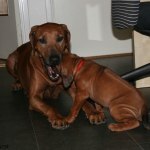 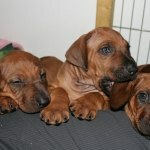 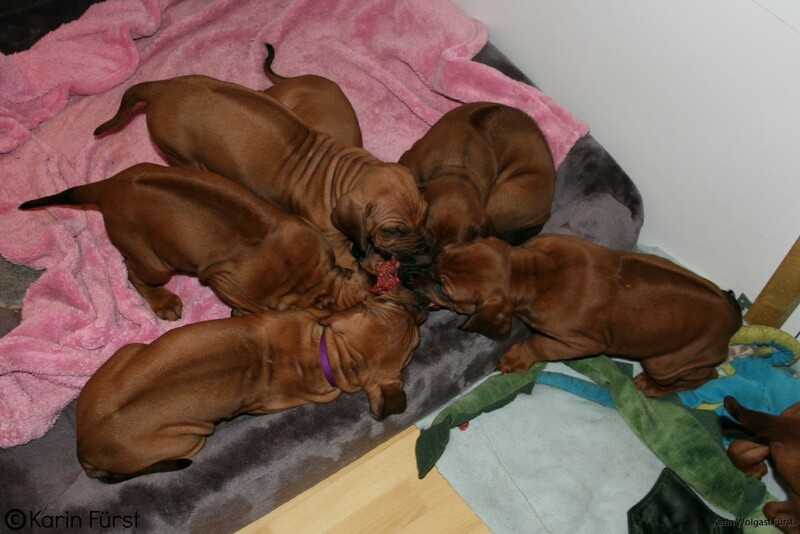 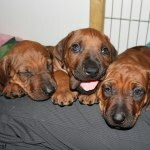 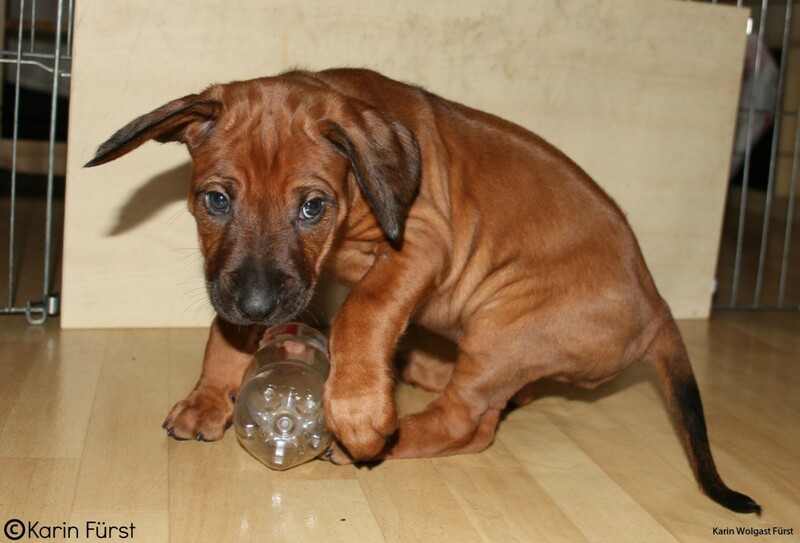 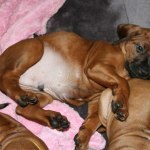 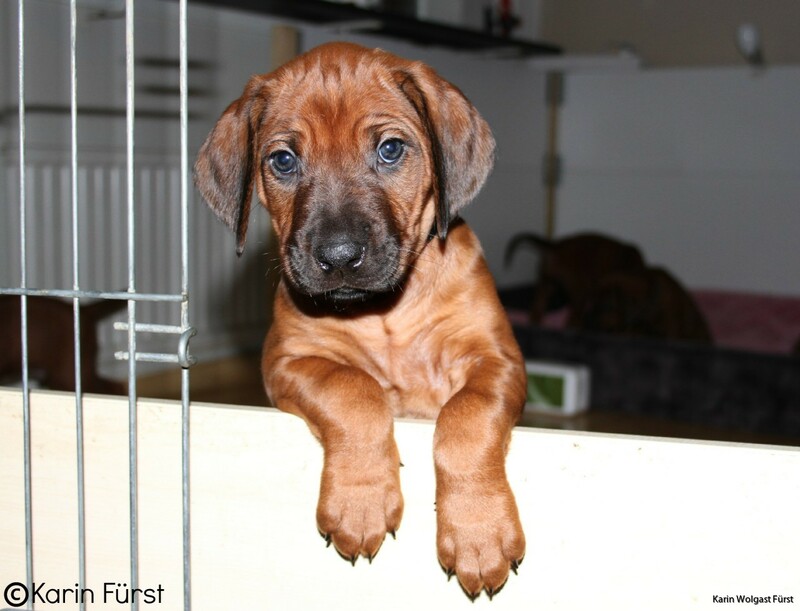 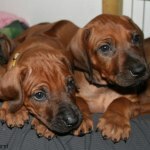 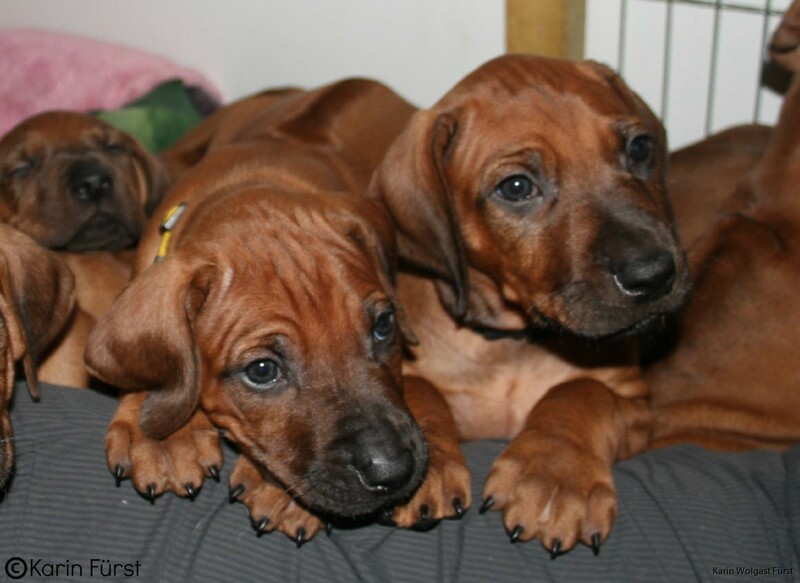 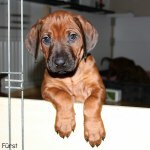 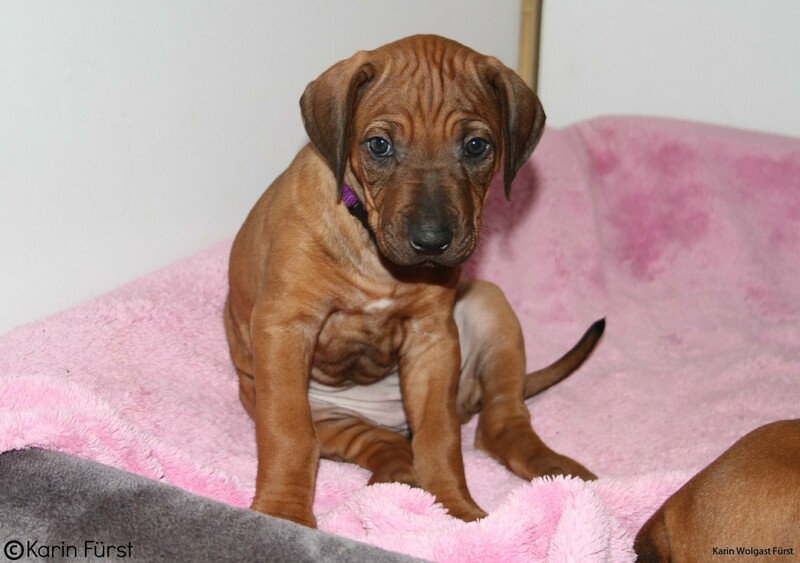 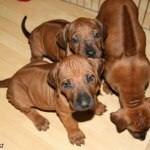 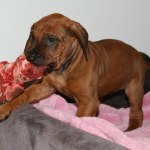 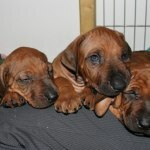 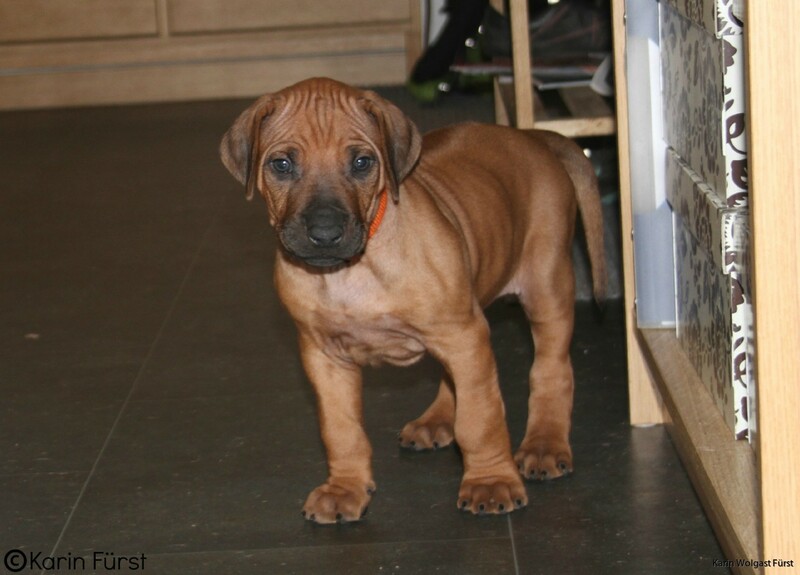 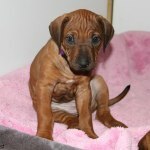 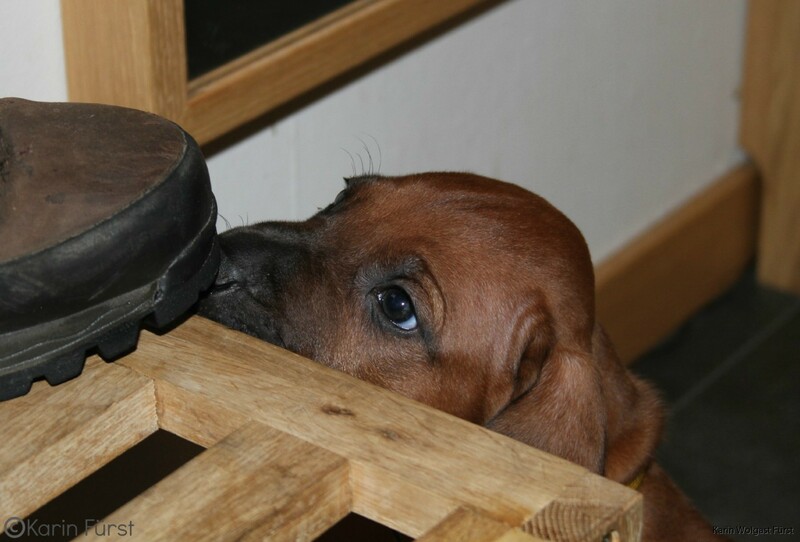 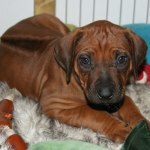 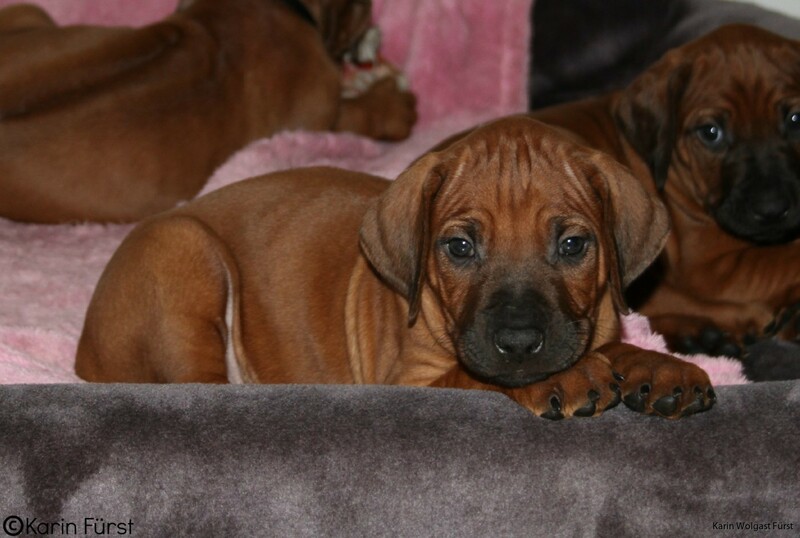 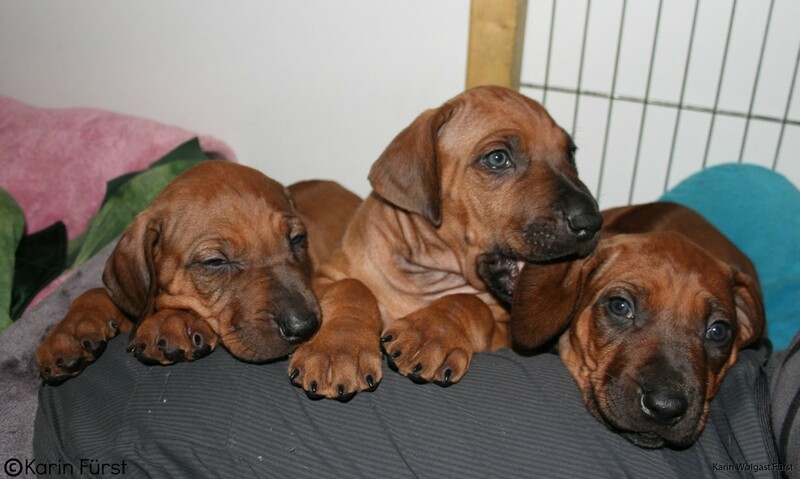 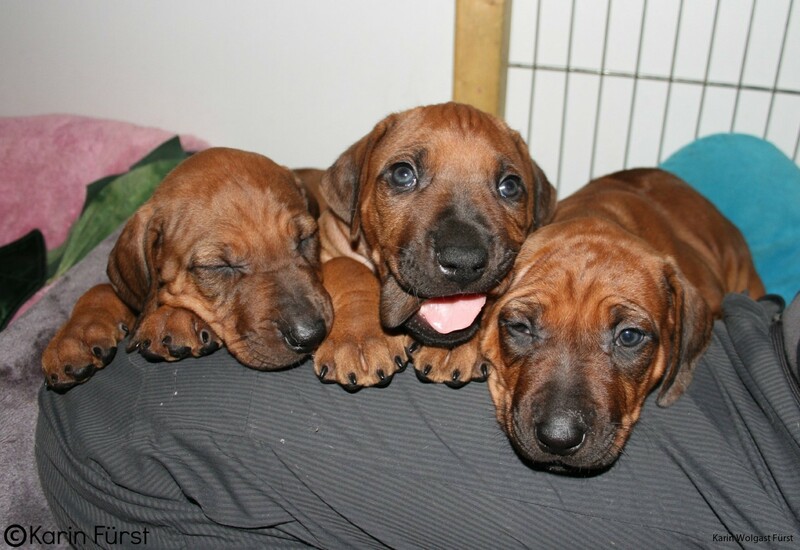 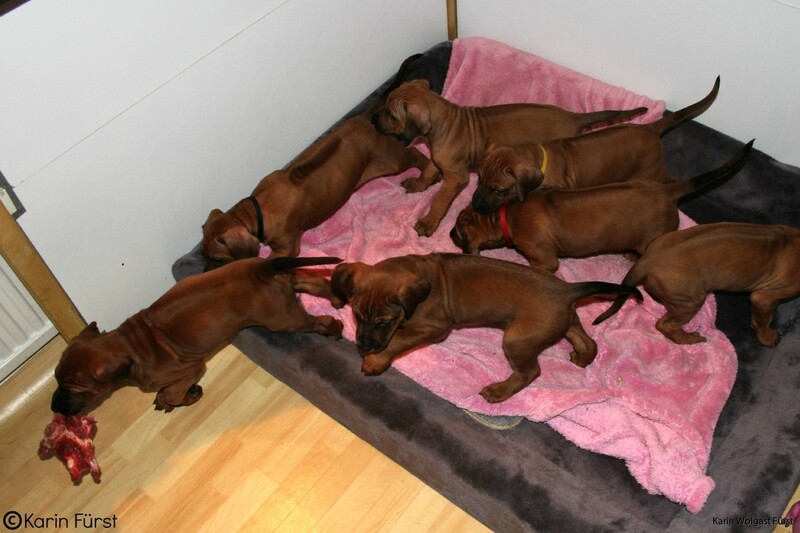 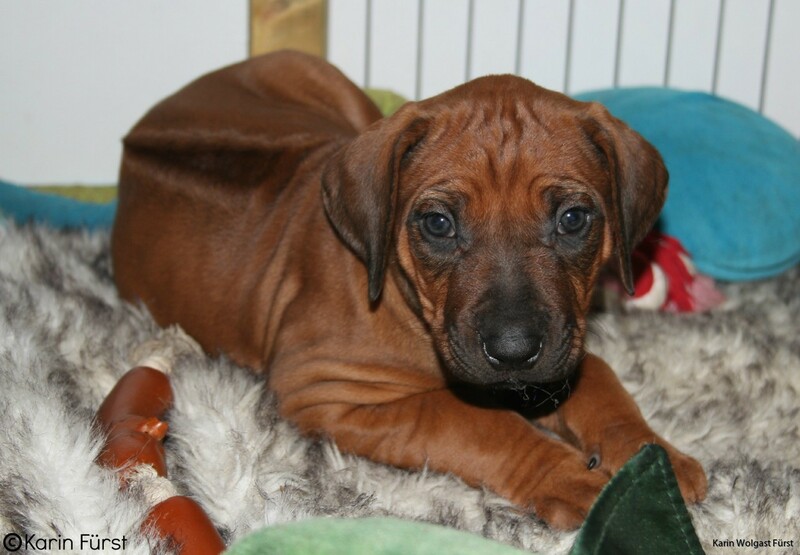 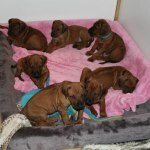 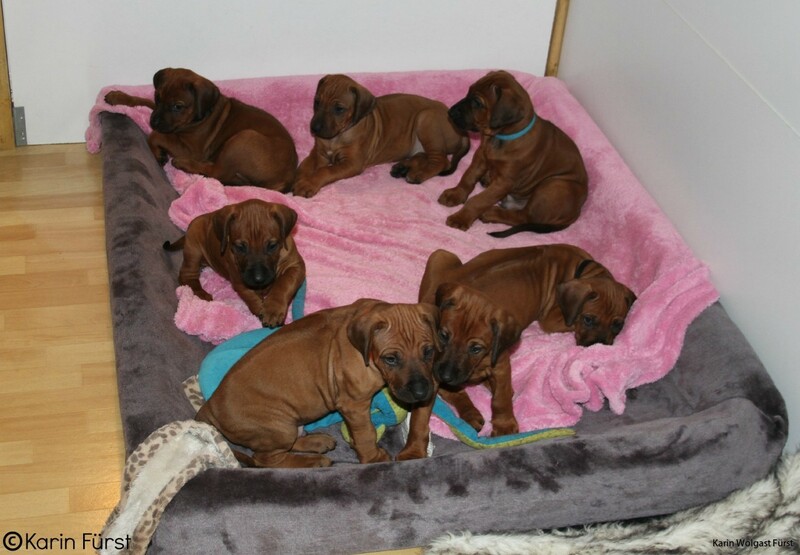 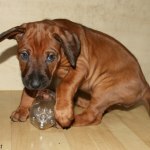 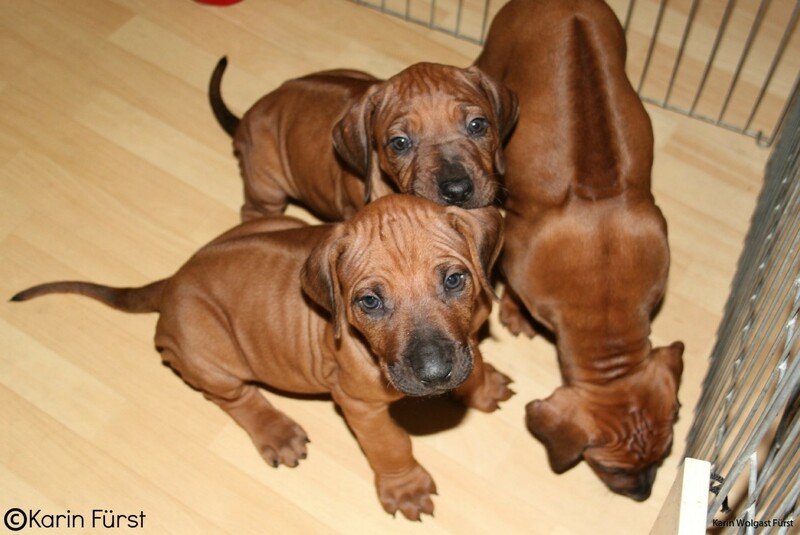 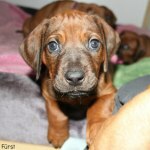 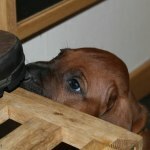 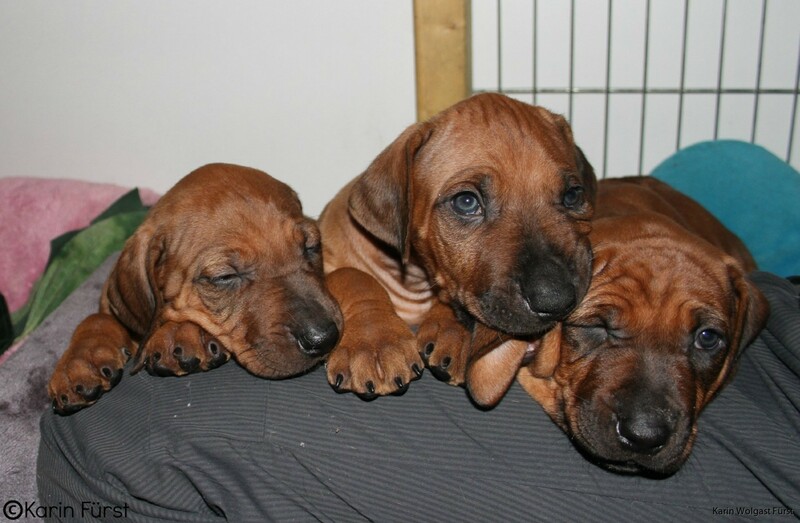 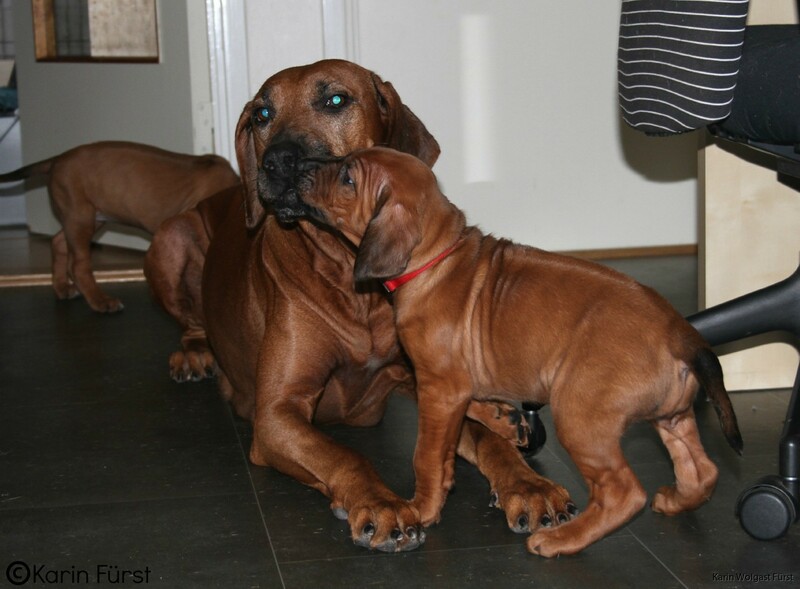 Below are pictures and videos of the puppies 38-40 days old, enjoy!